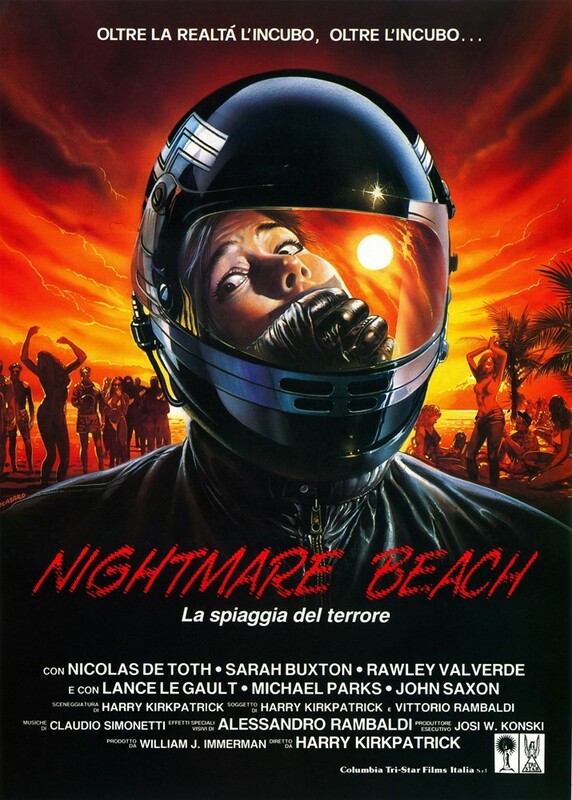 On this episode, the gang continues Listener Request Month with the too-little-too-late 80s slasher, Nightmare Beach! 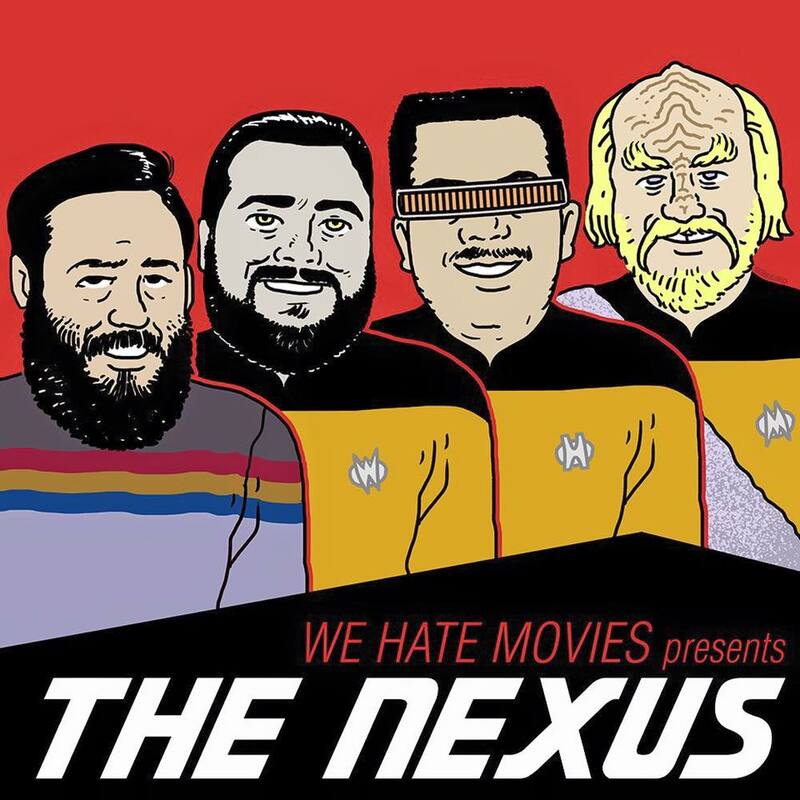 Why would director Umberto Lenzi try to deny he directed this classic gem? 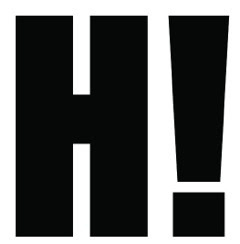 Was this actor the absolute best thespian to audition for "Skip"? And why did they pick such a lame motorcycle for the killer to ride? 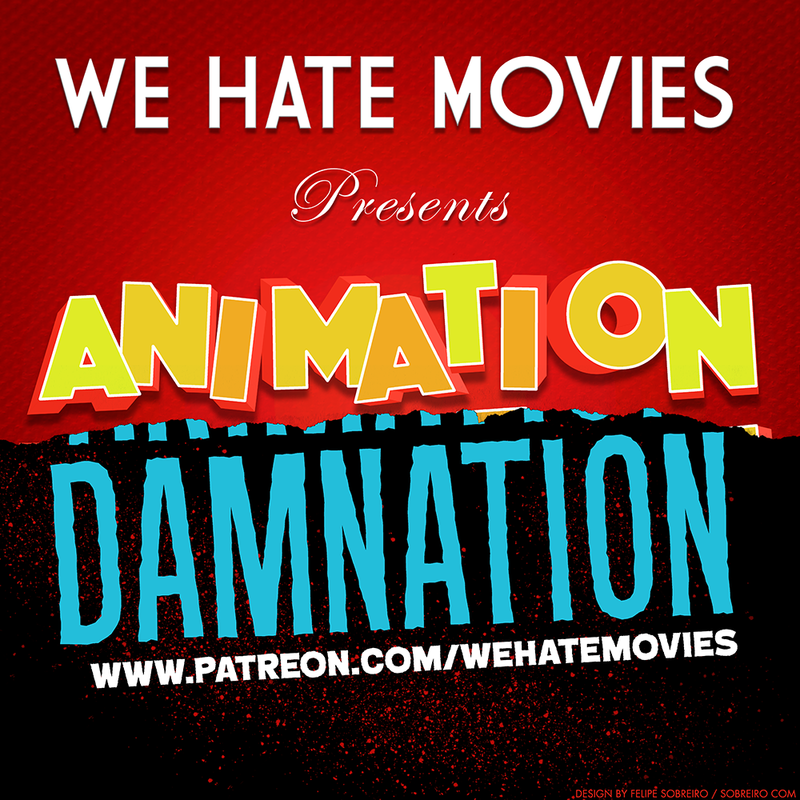 PLUS: John Saxon and Joe Don Baker get catty about not going to the Academy Awards. 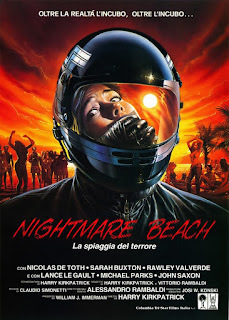 Nightmare Beach stars Nicolas De Toth, Sarah Buxton, Rawley Valverde, Lance LeGault, Michael Parks, and the legendary John Saxon; directed by Umberto Lenzi (as Harry Kirkpatrick).